Over the weekend, Campaign It Forward trained nine leaders from LD Potomac. The training included class room style learning as well as scenarios using fake blood, plastic body parts, and bad acting. 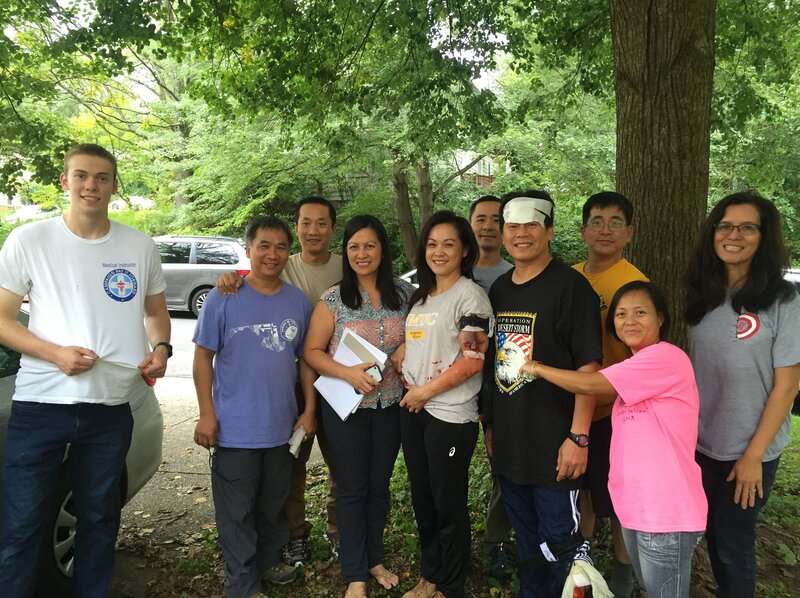 Congratulations the the following leaders for their successful completion of the Wilderness First Aid class: Tam Tran, Hanson Nguyen, Peter Le, Tran-Chau Le, Tuan Ho, Thinh Luu, Clara Le, Jackie Dang, Nhi Vo.